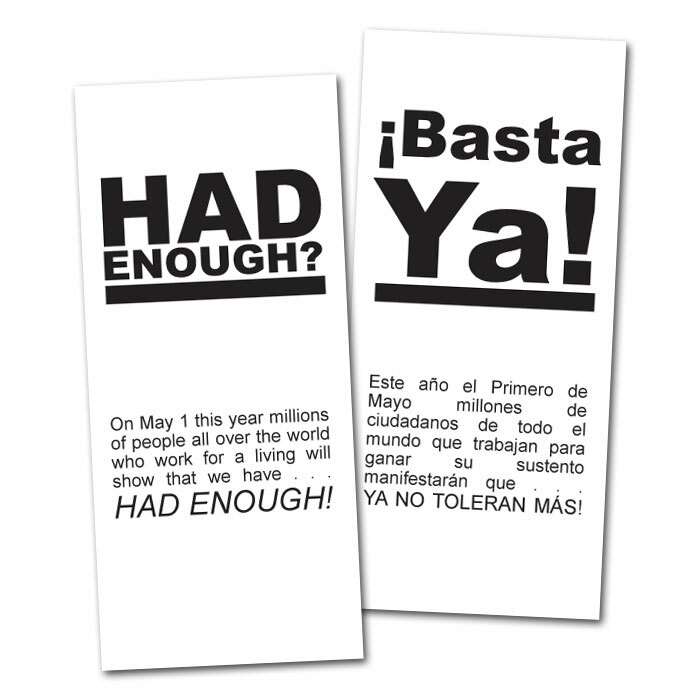 On May 1 this year millions of people all over the world who work for a living will show that we have . . . had enough! We’ve had enough of manipulated markets, phony inflated prices, lost savings, stolen pensions, and worthless or foreclosed homes. We’ve had enough of healthcare we can’t afford, of being one major illness or injury away from bankruptcy. We’ve had enough of being priced out of education, while our teachers and other public workers are blamed for the problems. Download the complete brochure in English and Spanish here. 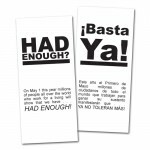 It is designed to be folded in a “Z” and is suitable for taking door-to-door, meetings, etc. This version does not include P&L Printing’s union bug. If you need some with the bug, visit the P&L Press Infoshop, 11 am – 7 pm, Tue – Sat, 2727 W. 27th Ave., Unit C.
This was written by Denver General Strike Committee. Posted on Thursday, March 22, 2012, at 10:11 PM. Filed under Articles, Events, Leaflets & Posters, Strikes & Occupations. Bookmark the permalink. Follow comments here with the RSS feed. Both comments and trackbacks are currently closed. ‹ “A Verb, Not a Noun”: Can Occupy pull off a general strike?